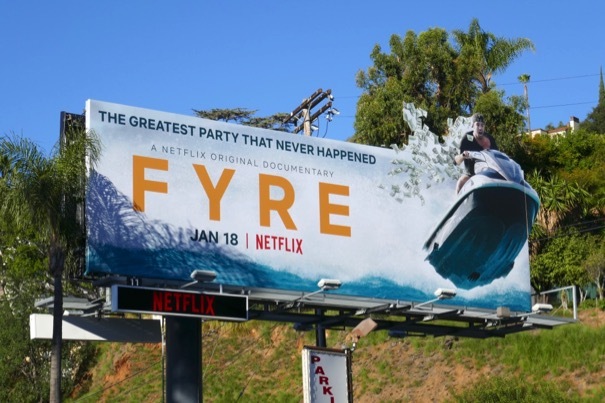 You can tell how disastrous a musical festival was when it has two competing documentaries chronicling the chaos, one from Hulu (Fyre Fraud) and the other from Netflix titled Fyre: The Greatest Party That Never Happened. 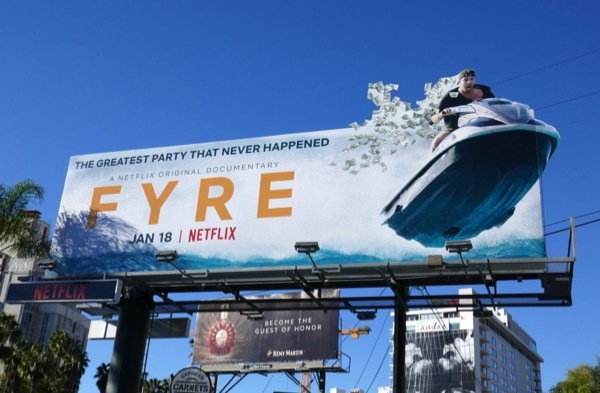 Chris Smith's documentary film explores how event organiser Billy McFarland conned thousands of people into shelling out thousands of dollars for a supposed luxury music festival on a tropical island in the Bahamas. 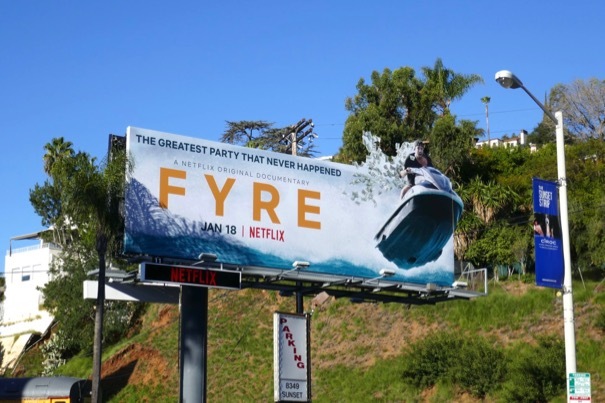 Rather than partying with famous celebrities, models and music acts and eating culinary chef-prepared food, the attendees found themselves sleeping on wet mattresses in tent cities, with few amenities, facing thefts and vandalism, as the proceedings turned crazy and into a social media meltdown. 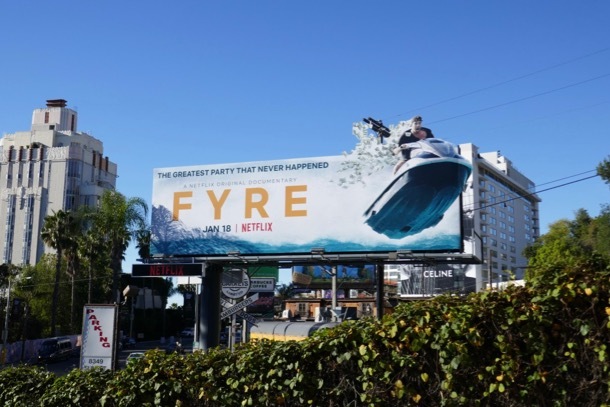 This jet ski spouting cash was snapped along West Hollywood's Sunset Strip on January 19, 2019, and it reminds Daily Billboard of this billboard for Jackass 3D from 2010. Sadly for the organisers, what happened in the Bahamas didn't stay on the islands.